Referring your friends but not feeling appreciated? We understand! We are making the process super easy with our plastic surgery reward points program. 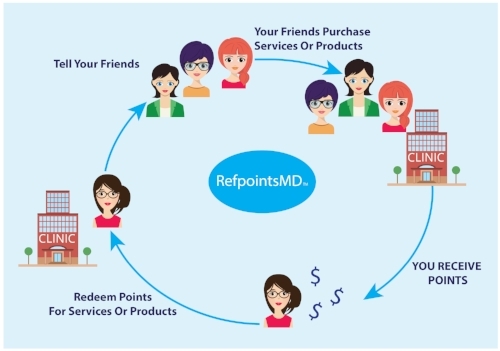 Refer your friends to receive points whenever they purchase products or services. You use those points to apply towards Botox/Dysport, Filler, skin care products, and clinic services. What do your friends get? They get 10% off their first purchase and the opportunity to start earning their own rewards points through their referrals. We are the only provider featured on this new platform, known as RefpointsMD. You must be an existing patient to start earning referral points, so come by or call the clinic for more details!